As one of few bilingual students in her southern Indiana elementary school, Tania identified language differences from an early age. Her Salvadoran family was the source of her Latina identity, but she recalls, “I was astounded by the amount of languages in the world.” Her curiosity led her online to pick up other languages and, years later when she learned about NSLI-Y, she knew she would apply. Although not accepted on her first try, she persisted, applied again, and was selected as a NSLI-Y Arabic finalist her senior year. 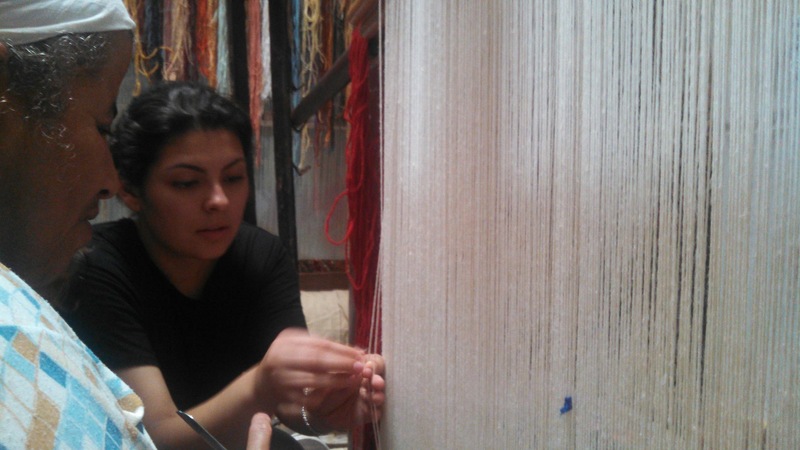 Tania learns weaving in a carpet guild. 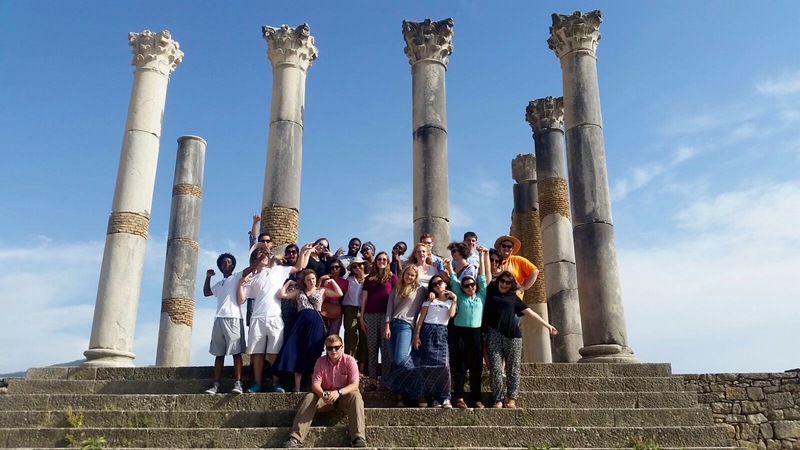 Tania and her NSLI-Y group visit Volubilis. 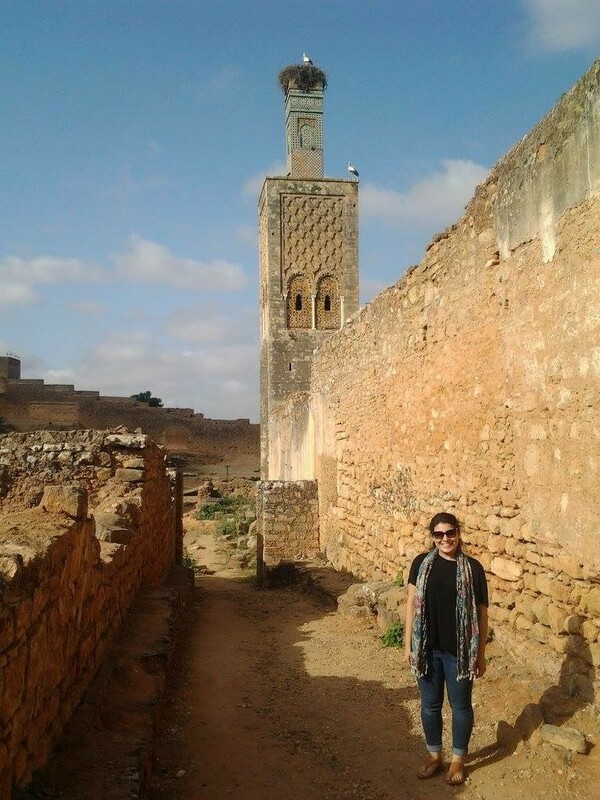 Tania explores the Ruins de Chellah in Rabat. “As time went by, I learned to love the country, my friends, and my [host] family so much…. I didn’t expect people to be so loving. My host family received me with open arms.” It turns out living without wifi in the house may have benefited Tania in the long run. “I could just hang out with my host sisters and be present.” Her vocabulary improved, and she was eventually able to tell her host mother about her day and which foods she liked. Her host mother listened and surprised Tania the day before her departure, with bastilla – a traditional Moroccan dish typically reserved for weddings, due to time required to prepare it. Tania is a freshman at Indiana University (IU) Bloomington, double majoring in Arabic and International Studies with a Human Rights Concentration and minoring in Portuguese. She continues developing language and cultural skills through Arabic poetry nights, movies, and dancing and making Arabic friends at IU. She plans to eventually go to law school and work in foreign affairs. Originally published on November 20th, 2015. The summer of 2016, Tania received the Foreign Language and Area Studies (FLAS) Award for the Summer Language Workshop at IU. She then received the Arabic Flagship grant, which allowed her to be a part of the pilot Flagship class at IU.